As the main entrance points to your home, there are several features your new door should have in order to ensure your home is safe from intruders and is kept insulated, whilst visually impressing your visitors. With so many factors to consider, we’ve written a door buying guide so that you choose the best replacement door for your needs. Not only do our range of doors look stunning, they are also incredibly energy efficient due to the multi-chamber profiles and insulated cores. Their modern designs will lock the heat into your home and reduce the likelihood of draughts entering your home. Our doors can achieve up to an A+12 rating for energy efficiency, meaning they’re exceptionally high performance and provide excellent thermal insultation. Security is paramount for any homeowner, and that’s why we prioritise it in our door installations without compromising on the aesthetics of our doors. All of our doors are manufactured using durable and robust materials and with efficient locking mechanisms as standard, you can have peace of mind that your door will protect your home from unwanted burglars. Which material should I choose for my new door? With doors available in uPVC, timber, aluminium and composite, it can be difficult to know which is best for your home. They share some similarities such as being secure and energy efficient, but there are some key differences you should be aware of. There are many reasons for uPVC being the UK’s most favoured material. Not only is it an affordable door material, it’s resistant to rot and maintenance free. Due to its modern manufacturing, uPVC doors can be designed in a stunning variety of colours, so they’ll compliment any home’s style. Timber has always been a popular door material choice, they have a classic style that enhance the looks of traditionally designed homes and are a commonly approved material for listed buildings and conservation areas. A modern and sleek material, aluminium doors are frequently installed on modern and contemporary homes. But with the ability to be designed in a range of RAL colours, aluminium doors can complement any home. They’re also extremely secure and weather resistant. Composite doors combine the style of timber with the benefits of modern material technology. Made of uPVC and timber materials, they’re highly insulating and robust. Composite doors can be designed to suit your individual style, with a beautiful range of colours and hardware available. 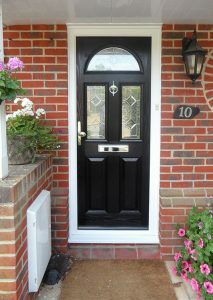 Find out more about composite doors here. What are the different door styles? Being the main point of access to your home, entrance doors should be secure and designed to add style to your home’s kerb appeal. Our entrance doors are available in uPVC, aluminium, timber or composite. Made with multiple large panels of glass, bifold doors offer a multitude of opening options. A versatile choice to blend two areas of your home together. Offered in uPVC, composite and timber, stable doors provide the quaint character found in country cottage homes and can be fitted with glass. With the ability to open one or both panels, they’re a flexible door option for your home. Take a read for more on how stable doors work. Our uPVC and aluminium sliding patio doors allow for an abundance of natural light to enter your home. They can be designed with triple glazing to further add to their energy efficiency. uPVC French doors are low maintenance and are a great choice for an elegant way to open your home to the garden. 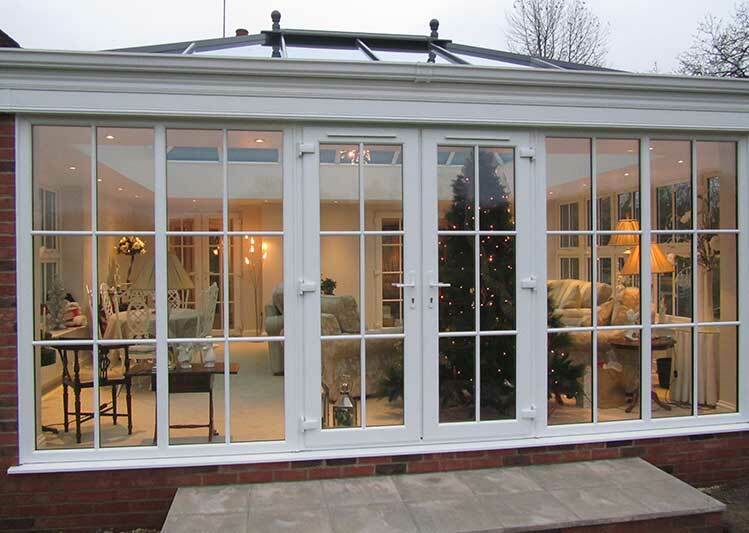 What is the best door for conservatories and orangeries? If you’ve just installed a new conservatory, or you’re looking to add some new life to it, it can be a difficult decision choosing a new conservatory door. Whether it’s a patio door, French door, or bifold door, they all allow an abundance of natural light in and will retain your home’s warmth. Here’s a detailed comparison of our conservatory doors. Find more here on the best door styles for orangeries. What colours are replacement doors available in? At Oakley, we’ve been serving homeowners for over 20 years, so we recognize that each customer has a different style and taste. That’s why we offer our variety of doors in a multitude of colours and with a large range of hardware to choose from. From black composite doors, to grey aluminium bifold doors, to a red entrance door with decorative glass, we can customize your replacement door to meet your requirements. Get some inspiration for your replacement door here to see some of colours and hardware we offer. What is Oakley’s replacement door process? We strive on our excellent customer service, every step of the way our friendly team will be there to offer our expertise. It takes just five simple steps at Oakley for a replacement door installation. To find out more about our installation process, take a look here or contact a member of the team. Why choose Oakley Green Conservatories for replacement doors in Bristol, Reading and Newbury? Our doors are tailor made, meaning they can be personalized to fit your exact style and specifications. With over 20 years of experience in the industry, you can trust our friendly and fully trained team to install a high quality door with high quality customer service. All of our doors come with a ten year guarantee. Contact us today for a free no-obligation quote or visit one of our showrooms in Bristol, Newbury and Maidenhead.